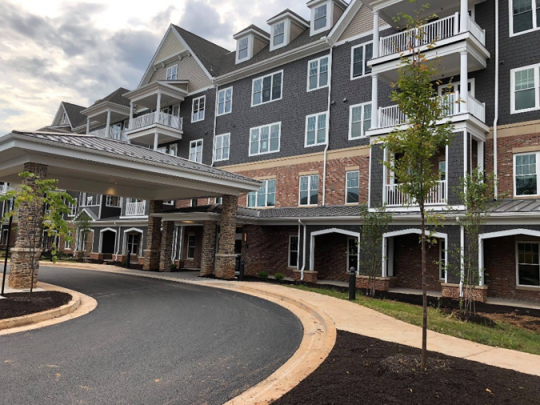 Springwell Senior Living is pleased to announce The Homestead, Baltimore’s only brand new Independent Living community, is now open. Springwell started construction in April 2017 on the 142,000-square-foot state-of-the-art Independent Living building in historic Mt. Washington. The 99 new residences bring the total number of independent living, assisted living and memory care units at Springwell to 235. The new apartments range in size from a one-bedroom, one-bath to a two-bedroom, two-bath corner unit, and many have balconies or patios. In addition, there are many gracious common areas including the Library, Courtyard, Pub, Living Room, Dining Room and Education Center. Tours are available by appointment. Located on 15 acres overlooking Northwest Park, The Homestead offers Springwell’s incomparable hospitality and services in a village-like atmosphere. Monthly fees include a dining program; daily planned activities; scheduled transportation; housekeeping; utilities; wellness checks; and more. Springwell’s new strategic partnership with LifeBridge Health, a major healthcare system, offers residents who choose to participate easier access to medical specialists, wellness programs and healthcare facilities throughout Baltimore City and County.